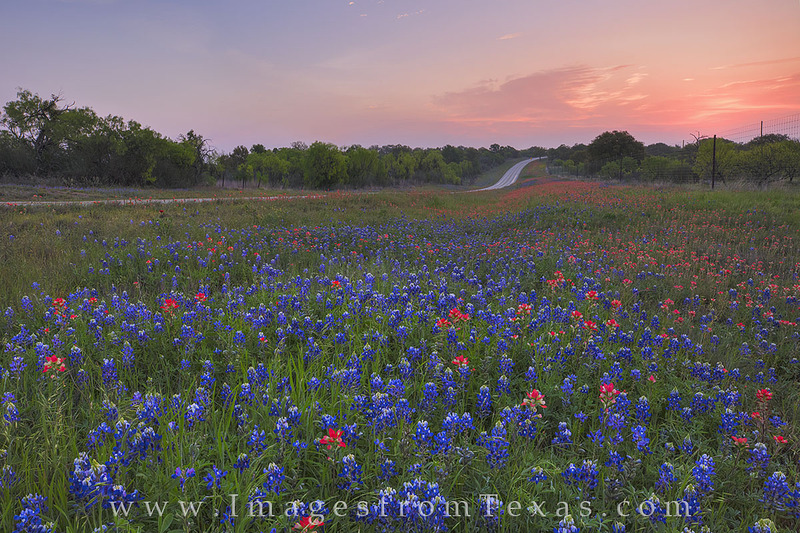 Bluebonnets and Indian Paintbrush, two of Texas' favorite wildflowers, filled this roadside between Mason and Llano. The sun lit up some low clouds and brought another gorgeous day to the Texas Hill Country on this late March morning. Photo © copyright by Rob Greebon.